Could there be a hotter topic right now than the nuclear talks between the US and Iran?! What a time in history to visit this fascinating, yet hugely misunderstood country. But we were there, we heard the people in the streets, the honking of the horns and the firecrackers being set off as the news unfolded of the framework deal moving forward in a positive direction. There is a BIG fat misconception floating around out there in this vast world of ours, perpetuated by the mass media, which is that the Iranian people hate America. It could not be further from the truth. 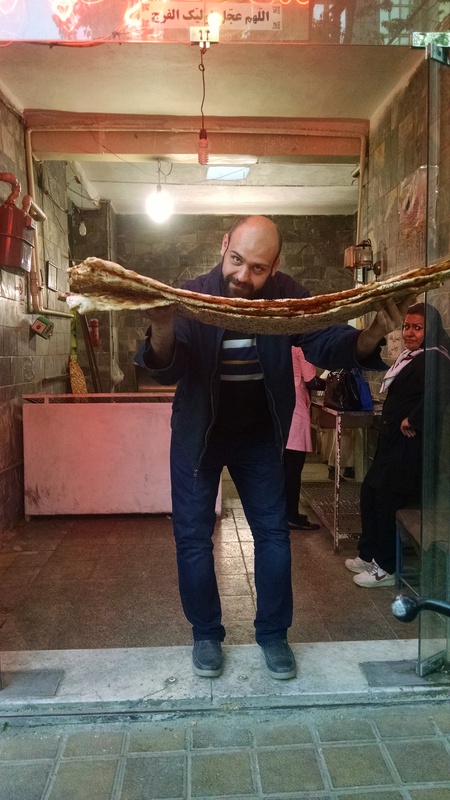 We just spent 3 weeks in Iran and I was treated like a rock star. I lost count of how many people approached me and asked where I was from, or if they could not speak English they would ask Abi – or another member of our group – where is she from and can I say hello to her. I had been told by other travelers that this would happen, but I could not have imagined just how often it actually did happen. People wanted to take their picture with me. They wanted to just say hello, or ask me to deliver the message to America, that Iranians love America. One little girl had never seen an American and her mother said she was so happy to take her picture with me. A beautiful young teenage girl interviewed me for her English communication class. 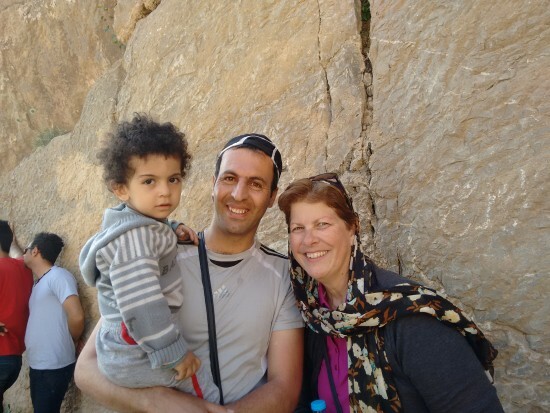 And a lovely couple visiting Persepolis asked if I would take a picture with their baby boy, whose name was Parham, which translates to king of smiles. This beautiful young girl interviewed me for her English communication class. My sweet little friend, Parham, who giggled when I tickled his bare feet. We were visiting Persepolis a UNESCO world heritage site and this lovely man just wanted to speak to me in English. p.s. It was a constant struggle to keep that damn scarf on my head! 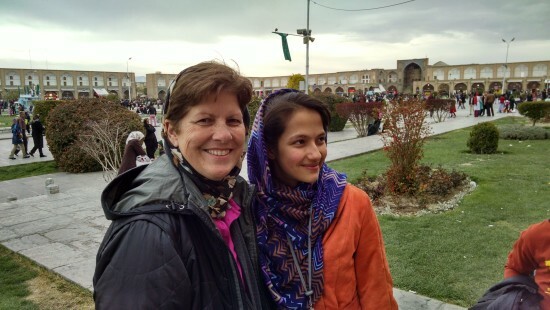 It’s not like I didn’t know the Iranian people are kind, generous and hospitable beyond words; after all, I’ve been married to an Iranian man for the better part of my life. But it still took me 20 years to make the decision to travel to Iran. Good things are worth waiting for and I knew I had to wait until the time was right. It had been 10 years since Abi’s last visit with his family and since we were headed across the pond anyway, we made the decision to take a side trip to Iran. I decided I was ready. I can truthfully tell you it was an incredible experience on so many levels. It was not always easy, sometimes it was downright challenging but not for the reasons you might think. I never felt anything but safe. And that’s the absolute truth. I was always surrounded by family, but even with that, I never once had a sense of fear for my well-being. One of the biggest challenges for me was the language barrier. I do not speak Farsi and most of our family members do not speak English, although several members of the younger generation – our son’s cousins – do speak English at various degrees of fluency and they were my translators. Just a handful of Abi’s huge extended family. You could not ask to spend time with more hospitable people. 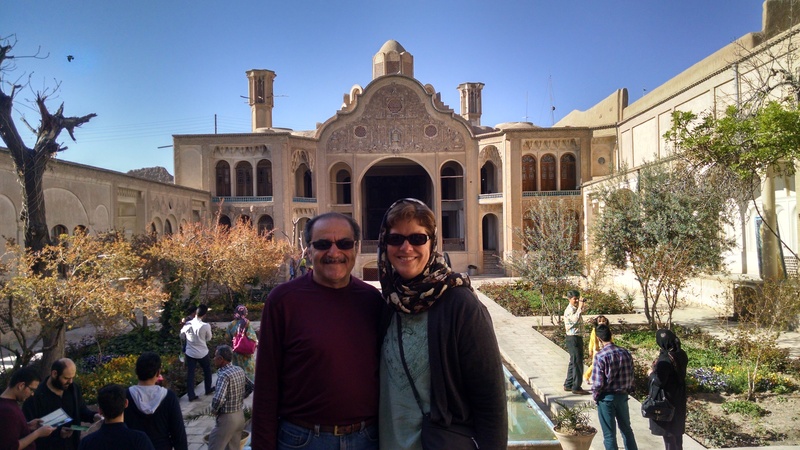 While in Iran we took a 5-day road trip from Tehran to Isfahan and Shiraz, and on the way back we stayed overnight in Kashan before returning to Tehran. It was a whirlwind trip and my head is still spinning, but oh my, what we saw! 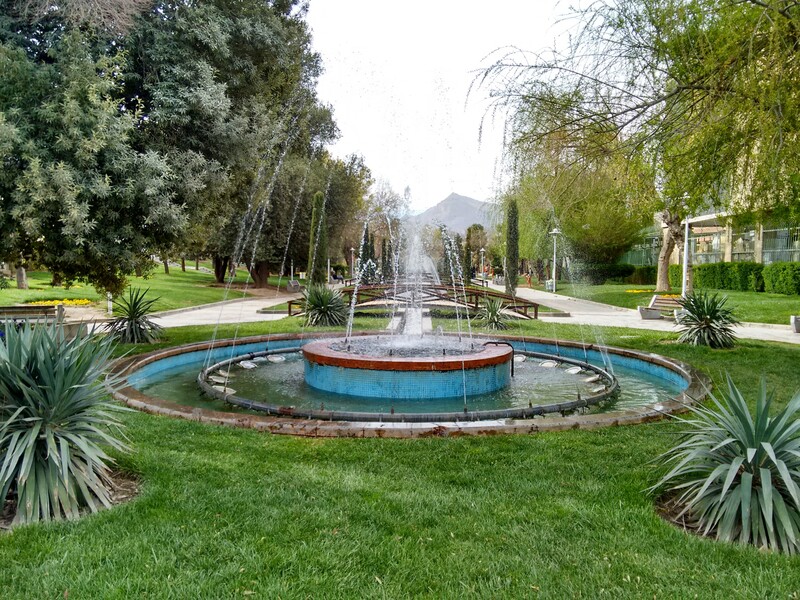 Do you know there are 17 UNESCO world heritage sites in Iran? We saw 5 of them! An historical home in Kashan. The legend tells us that a suitor wanted to marry a young woman. Her father told him that if he could build a home as nice as his, then he could marry his daughter. The suitor went out and built a bigger and better home and sure enough, he got the girl. So why didn’t I publish the blog while in Iran? Simple. Because Iran’s internet is censored, intermittent and painfully slow. 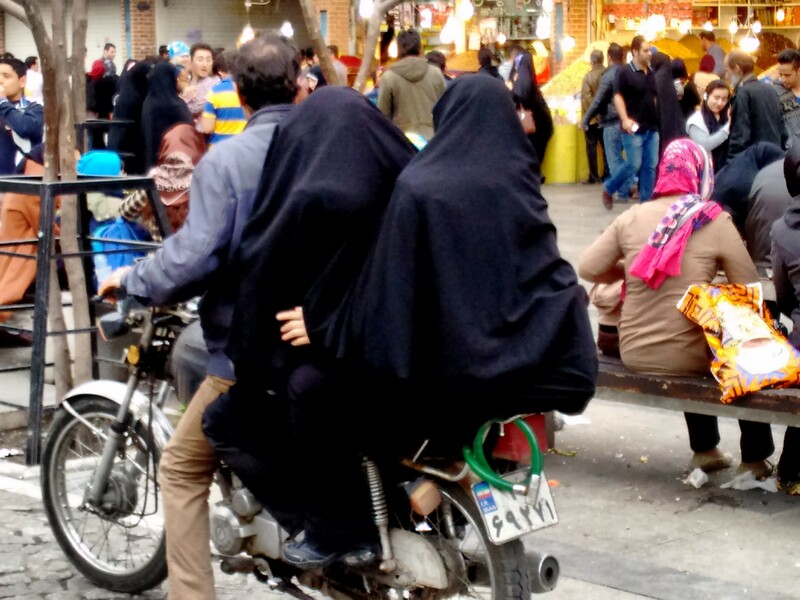 Yes, there are ways to get around the censorship, but for practical and familial reasons we decided it would be best to just step away from the blog and social media while traveling in Iran. And truth be told I’m thankful we made that decision because a couple of blog posts would be an injustice to the experience. I have to give it some serious processing time before I put fingers to keyboard. And even then I’m not sure what format it will take. Maybe I’ll walk across Spain and give it some thought. 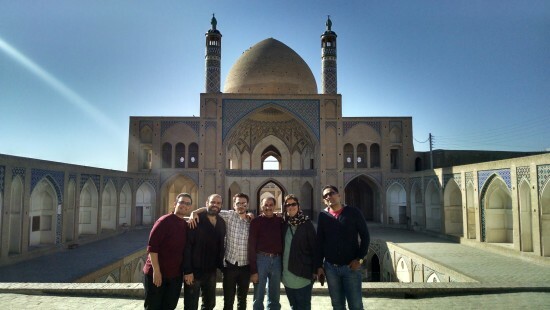 Me and the boys at the Agha Bozorg Mosque – built in the late 18th century – in Kashan. So we’re back in Europe and currently making our way to the border of France and Spain, via Frankfurt, Paris and Bayonne. To bring you up to date, since leaving home on March 1, we were sick in Prague, we walked the path of Bavarian history and we just spent 3 weeks in Iran, the cradle of civilization. It’s been quite the adventure! 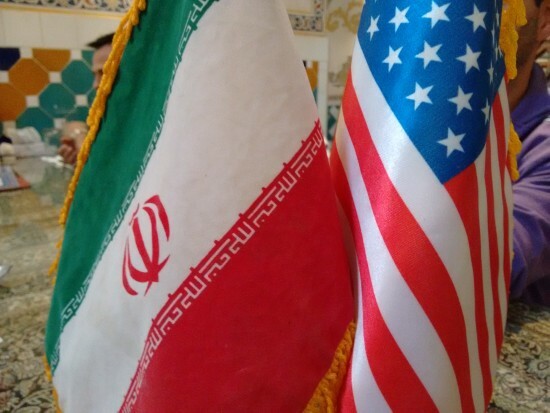 While dining in a restaurant in Isfahan, which was a beautifully restored centuries old bath house, our server placed these two flags on the table. Don’t tell me the Iranian people hate Americans. We start walking the Camino this coming Sunday, April 12, but somehow my backpack gained about 10 pounds while sitting in a closet for the past 3 weeks! What the hell?! But anyway, I’m thinking some of you might have questions about traveling in Iran. I would love to hear your questions and comments, and I will do my best to answer them. For now though, Buen Camino! Welcome back! I completely understand how you feel the need to process your thoughts about Iran before writing more. We’re just back from a 3 week visit to Turkey and Israel which also included meeting my husband’s first cousins on his father’s side for the first time in Israel. What a complex area of the world. In the course of 5 minutes I would go from despair to hopefulness and back to despair about the possibilities for a bridge to peace among the people of the Middle East. Yes, it’s a lot of mixed emotions. My emotions ran the gamut during our 3 weeks trip, everything from A to Z. Often times I was just in sensory overload and didn’t know what to do with what was going through my head. And it is SO complicated, I can’t even begin to understand it all, but I did learn quite a bit about the current history of Iran. More pieces to the puzzle. I have hundreds and hundreds (and hundreds) of photos. They will help stir my memories and help me tell the stories. Thanks for reading! Such a significant visit, on so many levels – It certainly would have silenced me! Yes, Linda, our timing for the walk across Spain actually couldn’t be better. I have so much to process! I had some of the same experiences with people when I traveled in China years ago. People just wanted to experience someone who was different, but for all the right reasons. They wanted to grow and learn, just as you did. They would come up to us, just to practice their English. We were skeptical at first, but found this endearing after a while. At first I was getting annoyed because so many people were staring at me, I thought I was doing something wrong. But I turned the tables on those who stared, I smiled and said hello and it opened up a world of doors. They’re so curious, they don’t realize their staring may make others uncomfortable, but it really was one of the most lovely parts of the experience. And thank you, I’m pretty proud of us myself. Its so amazing to share a bit of your journey. What a rewarding and uplifting experience with those reminders that we are all one family on this planet and we see this expressed daily in so many ways. Thank you for sharing. Thanks for the feedback, Cindy. Everyone is just trying to live their best lives – if only the governments would stay out of the way – we might all of some peace. I love Iran, it’s my favourite country! Been there twice. That’s great! When did you go and what cities did you visit? I’m sure it will take time to process this awesome experience. And you’ll have plenty of that on your long walk. People, are people, all over the world. Yes, they are Gaelyn! That’s one of the best things about traveling, getting to see people just living their lives like everyone else on the planet! How exciting. Of course, I”m sure made a bit more comfortable with family /contacts there, but I’ve heard wonderful things from others as well. Oh wow…4 days to the Camino!!! Can’t wait to read all about it. YAY! I couldn’t stop smiling while reading this and looking at your beautiful photos. 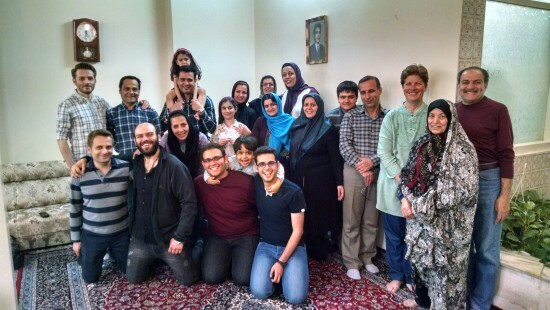 I’m so, so glad you loved Iran – and I’m sure your Iranian family was too! Good luck on the Camino! Silvia recently posted…I Heart Vilnius, Too! Hi Pati, nice to have you back. Looks like you were quite the celebrity there in Iran. It must have been so nice to better understand about Abi’s family and roots. Iran sounds like a very interesting country. 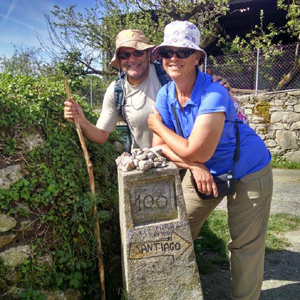 I hope that your heavier backpack will not slow you down too much on the Camino? 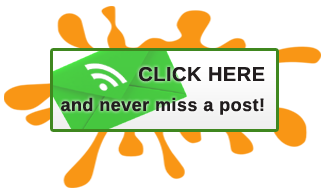 Gilda Baxter recently posted…Tobago – Hello Old Friend! Thanks, Gilda. It was quite the experience; I’m still trying to process everything in my head and I’ll be writing more after we walk the Camino. And we did do another purge of our packs and got the weight down a bit more, which should help! We start walking on Sunday, ready or not! Yes, Iran is an amazing country, and one that suffers from the most prejudices in the western world, due to a completely false image transported by mass-medias. We traveled two weeks there in April 2014 and found the safest country we have ever visited, and the most welcoming, hospitable, warm-hearted people we have ever met. You mention 17 UNESCO World Heritage sites (I didn’t know it was that many) – Well, in a country with 6.000 years of history, one of the cradle of mankind, not really surprising. We will definitely go back there soon, and hope that the changes (political) improves the life of many Iranis who really deserve it. Thanks for sharing & Happy & Safe Trael in Europe! Thanks, Gilles! Iran is often misrepresented in the media and sadly there are haters in the world who buy into it. 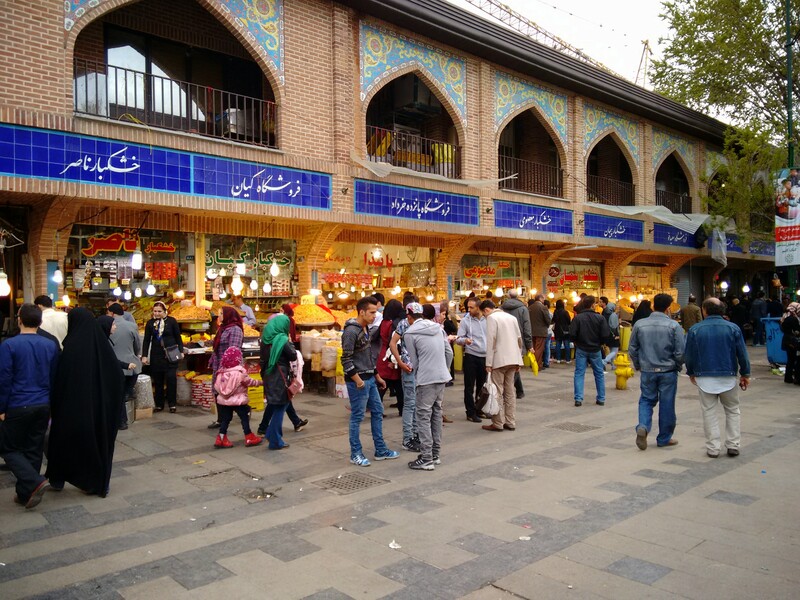 About 70% of the population of Iran is aching for change, but it will be a slow process. Those who hold the reigns are not ready to give them up. So glad you were able to visit Iran. My Iranian friends have always said the same thing, Patti. Everyone has an agenda, thats the best thing about traveling – we get to see for ourselves. It sure will be a struggle coming back to normal life after being treated like a rock star in Iran! Looking forward to hearing more of your trip, especially the food. Absolutely agree, Marcia, travel provide perspective and a chance to form your own opinions. You cant believe my tears are running while I’m reading these comments . I’m very happy you found my homeland good enough to be visited and talking about . I hope I see the day all doors are open toward all people of the world that they enjoy our hospitable warm country .Iranians love to have communication & relation with every one who respect their history & culture and they believe in peace & brotherhood for all the nations around the world. Thank you, Payman, for your kind words and Abi and I wish for the doors to open as well! We miss you all! It was so interesting to read your initial thoughts on Iran; the people sound amazing and I can’t wait to read more about your time there. Thanks, Amy. I will most likely wait until we return home before I start writing, I need to put a lot of thought into it before I put fingers to keyboard. I was happy to read about the good time you had in Iran and the hospitality you received. It’s very heartwarming to know how warmly you were treated and it must have been lovely to get to know Abi’s family better. We’ re looking forward to hearing more about them and it in the future. How lucky that you were able to go there, the pictures are amazing. I would love to visit Iran someday, I’ve heard nothing but wonderful things about traveling there. Yes, it’s such a misunderstood country, but they really do embrace visitors to their country. I’ll be writing more once we return to the USA after we finishing walking the Camino. Thanks for stopping by! It was an incredible and challenging experience. When we are once again home, I have to sort through all of my notes and thoughts and emotions and figure out how to put it into words. I hope you’ll want to hear the stories. I can’t wait to hear your stories. Visiting Iran is high up on on my bucket list. I would love to see as many archeological sites as I can pack into a trip and get to know the people and culture and, of course, the food! We’ll tell all, Ted! Looking forward to giving everyone a hug! 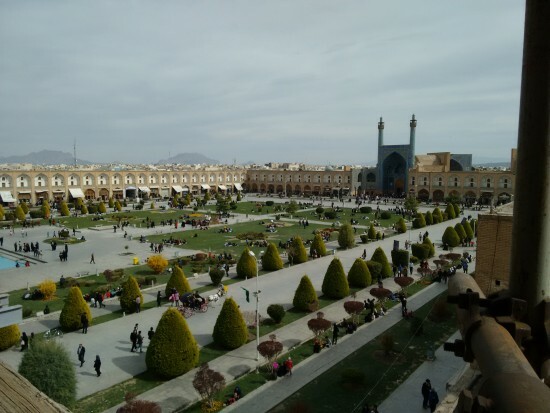 I had the great privilege of visiting Iran in 2009, not long after the “Green Revolution.” I have been to 77 countries, but my visit to Iran was probably my favorite, for all the reasons you cite. 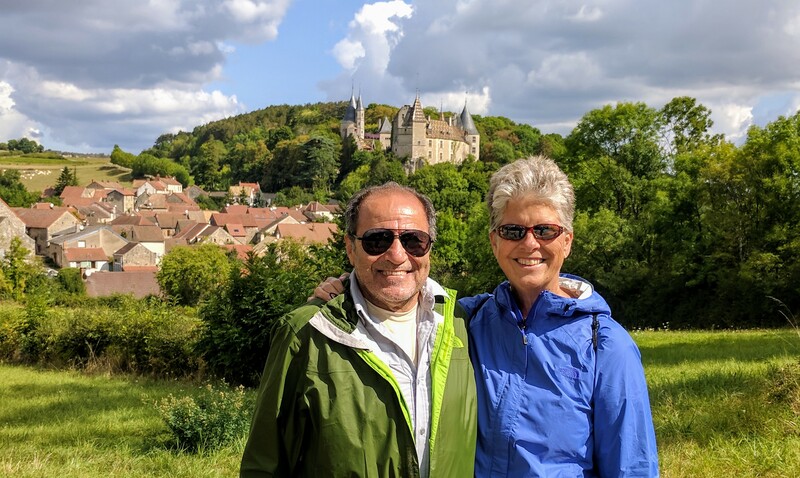 Never have I had more of a paradigm shift after visiting a country….to enter with an edge of fear and trepidation, and exit having experienced the greatest sharing of hospitality of my life. I came back wanting to tell everyone I knew, “Don’t believe anything the media says about this country!” Never have I encountered a more resounding welcome, and a moving travel experience. I look forward to reading more about your visit when the time is right. I’m so glad you had such a positive experience in Iran! A paradigm shift is a great way to explain it!